About us - Wravor d.o.o. Roots of company can be found already a few generations ago, as the ancestors of the owners have dealt with woodcutting since year 1934. The beginnings of the company Wravor ltd itself date back to 1985 and its expertise are drawn from many decades of experience in the field of sawmill and wood processing. The company is engaged in the production of woodworking machines and machines for the maintenance of bandsaw blades, which are the result of their own ideas and plans. Main company products are: horizontal bandsaws of different size and types, circular side and crossaws, multiblade crossaws (with one or two axis), machines for cutting thin logs, machines for sharpening bandsaw and circular blades, machines for pressing and egalizing bandsaw blades, machines for rolling bandsaw blades, machines for welding bandsaw blades and projection and manufacturing of complete production lines, in which the minimum number of workers are needed to achieve high capacity of cutting. Some of our solutions are protected by patent letters, some of our high tech solutions are still at the stage of obtaining a patent. The quality of products is confirmed by the ISO 9001 standard, which we received in year 1997. In year 1998 has company received high recognition for outstanding achievements in the importance of business continuity. Annually we participate on different trade fairs in Europe (Austria, Slovakia, Germany, Hungary, Romania, France, Poland, Ukraine, Belarus, Russia) and in the area of former Yugoslavia (Croatia, Bosnia-Herzegovina, Serbia), where we have received various awards, eg. recognition for high quality products at the Fair in Novosibirsk, Belarus, recognition for participation in trade fair in Kiev, Ukraine year 2007, recognition for technical achievement at a fair in Moscow year 2007. More than 90% of the total production is destined for export. 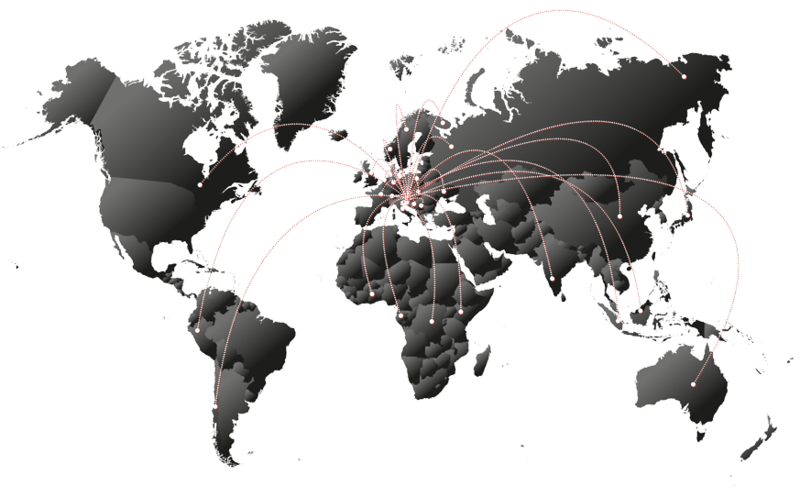 We export to the area of former Yugoslavia, EU, Ukraine, Russia, Africa, Indonesia and Oceania. In the area of eastern Europe and some EU countries we haverepresentatives that offer our customers a fast installation andservice in the event of any faults and problems. We are constantly improving quality of our products to be even better and safer and that are perfectly adapted to the individual wishes and demands of customers, from individuals to professional companies for working with wood. We are distinguished with very high flexibility in production, because all machines are manufactured on the basis of the wishes, plans and in particular with the needs of our customers. Company is Certified to ISO 9001, Certificate Registered since 1997.